Swirling in the wind, a sea of glistening blue and silver pinwheels have graced the gardens of Epiphany of Our Lord Church at 11th and Jackson streets. But the site serves as more than a springtime decoration, striving to represent the happiness, healthiness and safety of our community’s children. 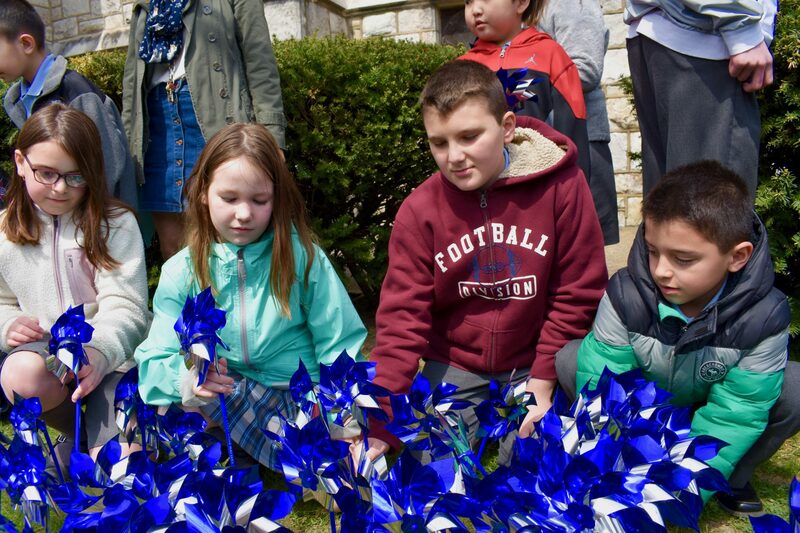 For the first time since its inception, the Archdiocesan Office for Child and Youth Protection included students during its annual pinwheel planting ceremony, known as “Pinwheels for Prevention,” a movement that takes place across the country every April in honor of National Child Abuse Prevention Month. In its premiere student-oriented ceremony, the Archdiocese of Philadelphia randomly selected Our Lady of Hope School, located at 13th and Jackson streets, after drawing names of schools from a lottery. Of all of the dozens of Archdiocesan schools throughout Philadelphia, the South Philly school was chosen by chance. Following a prayer session in the school’s auditorium, Our Lady of Hope’s 280 students, ranging from pre-K to eighth grade, were each given a pinwheel. While the younger students planted outside of the school, older students paraded down Jackson Street to the church where they seeded their wheels in the lawn. 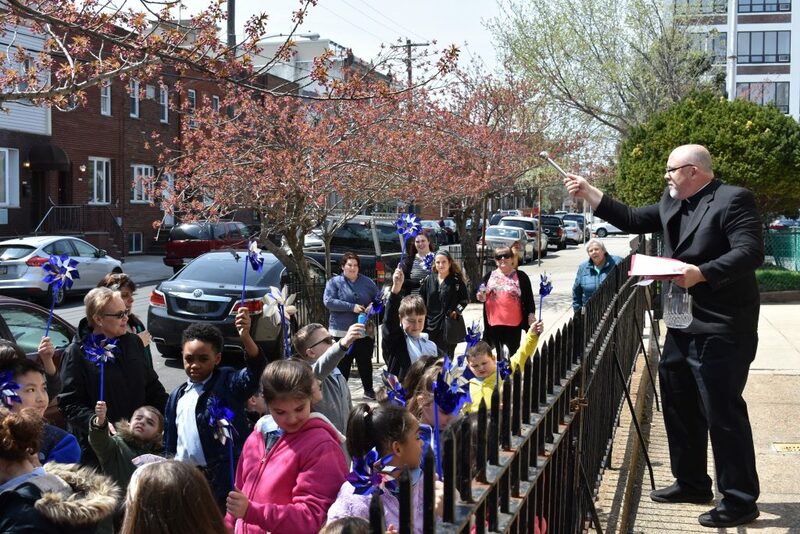 Although the Archdiocese of Philadelphia ordinarily plants the pinwheel at its offices in Center City, this year the organization felt it was important to include its children, hoping to let them know how much they are appreciated. “Although the month is about abuse prevention, we wanted to let them know that they’re loved,” Davila said. Father James Casey, Pastor of Epiphany of Our Lord Parish, blesses the children. While the pinwheel planting happens only in April, Davila says her office works throughout the year to ensure that adults who are working or volunteering with children have gone through proper background screening and checks. These initiatives include making sure that those working with children are being properly trained and educated, recognizing signs of abuse and taking the appropriate steps if abuse is suspected. Davila’s thoughts echo the mission of Our Lady of Hope, as principal Patricia Cody, who has served as principal of the school for the past seven years and for another five years when the school was Epiphany, says the school prides itself on fostering safety and solace for children. Along with Cody and Davila, the Rev. James Casey, pastor of Epiphany of Our Lord Parish, and Dr. Andrew McLaughlin, Secretary for Elementary Schools in the Office of Catholic Education, planted the first four pinwheels. Before they planted their pinwheels, Casey blessed the crowds of children. Then, students eagerly sprinted into the church’s garden, placing the pinwheels, which will remain on the lawn for the rest of the month.